Homebuilding permits in the U.S. rose to a decade-high level in January, led by an increase in construction on single-family homes in the Northeast. New homebuilding in the U.S. rebounded to a one-year high in January, led primarily by the growth of single-family home construction. 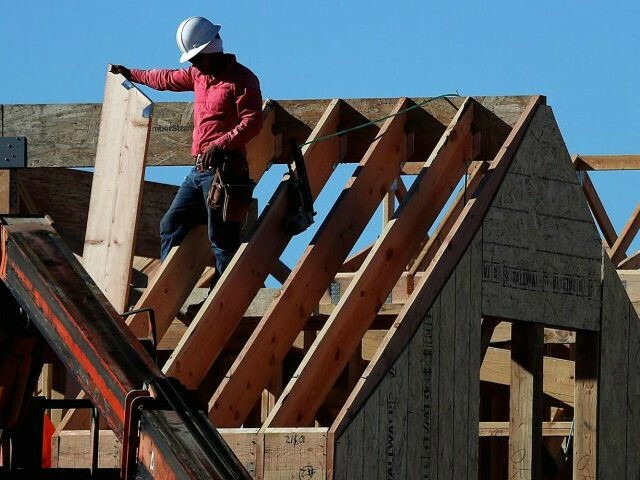 Building permits have reached their highest level since 2007, according to a report from the Commerce Department that was released on Friday. Single-family homebuilding increased 3.7 percent in January. Growth was seen in the South and Northeast despite declines in the Midwest and West. The biggest portion of growth came from the Northeast, which soared 45.5 percent. Building permits jumped 7.4 percent to a new level of 1.396 million units in January, which marks the highest levels since 2007. Groundbreaking on new homes rose 9.7 percent, totaling 1.326 million units, the highest level since October 2016. Although the demand for housing has increased, economists are concerned that rising mortgage rates and house prices could slow the growth. The annual house price increase rose to around six percent in November. The 30-year fixed mortgage rose to an average 4.38 percent in early February. Additionally, annual wage growth has stagnated despite a low overall unemployment rate of 3.1 percent. Lawrence Yun, the chief economist at the National Association of Realtors, expressed excitement about the report before adding that the construction industry still has room to grow. “There is still large room for improvement given the fact overall housing inventory is currently near historic lows,” Yun said.